What is the Goverlan Reach Gateway? The Goverlan Reach Gateway provides uninterrupted management of computers regardless of their network location. Computer nodes equipped with Goverlan Reach Agents can be accessed and managed remotely using Goverlan services whether they are connected to your private network, or anywhere else over the internet, without requiring a VPN bridge. The Goverlan Reach Gateway Service is completely self-hosted and does not depend on any outside services or vendors to establish connections. Since there is no ‘middle-man’ between you and your clients, external points of failure and security dependencies are eliminated. The Goverlan Reach Gateway Service is highly scalable and can be used to manage corporate networks, remote client sites and computer standalone nodes. 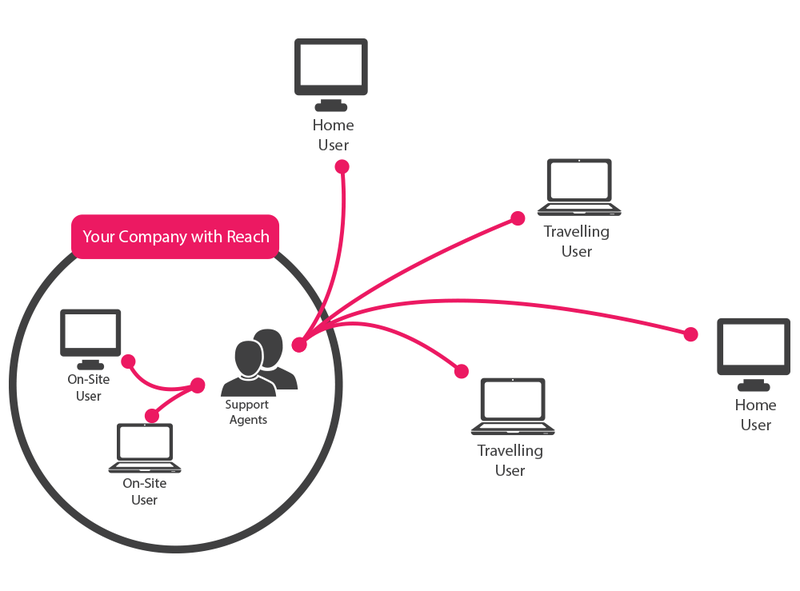 Goverlan Reach Gateway Services can be used to remotely manage corporate users irrespective of their location – in the office, at home or on a business trip. The Goverlan Reach client automatically detects if the user’s machine is connected to the corporate network or a public network. This allows for seamless management of corporate machines as they transition from the internal network to outside of the organization. Management requests are automatically rerouted to the client’s location allowing un-interrupted support of attended or unattended machines, irrespective of their location. 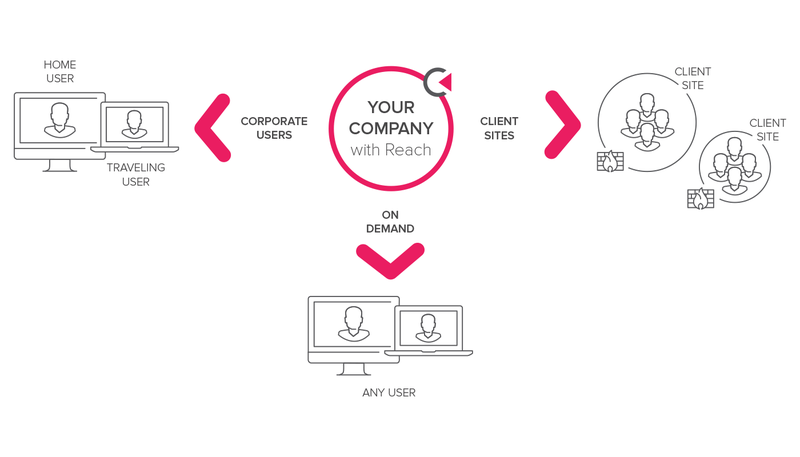 IT Services Providers or multi-site enterprises can benefit from easy access and management of all their client sites using the Goverlan Reach Gateway Services. 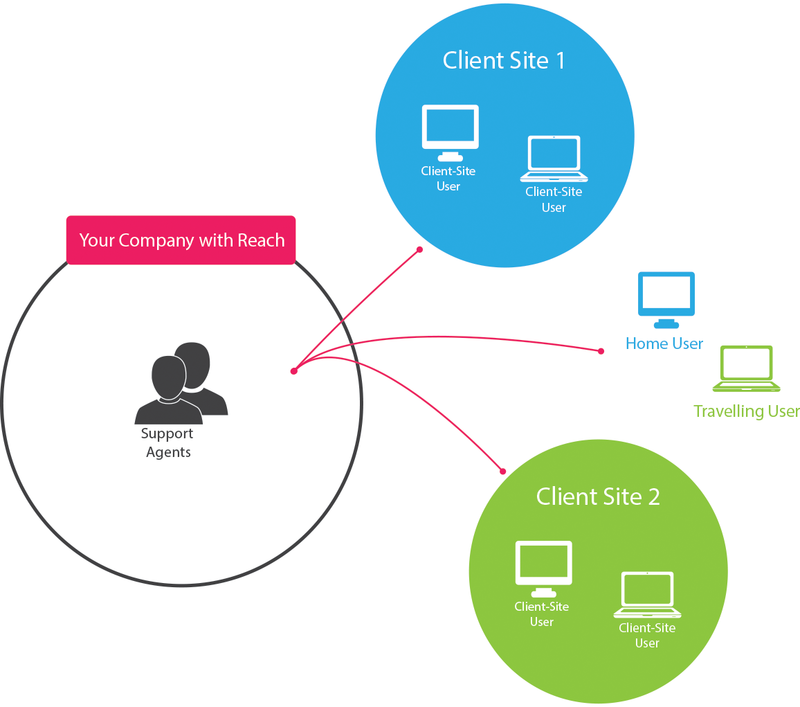 All machines in a client site can be managed remotely using Goverlan Reach Gateway Services once the site is configured; this applies even to client machines connected outside of their private network. 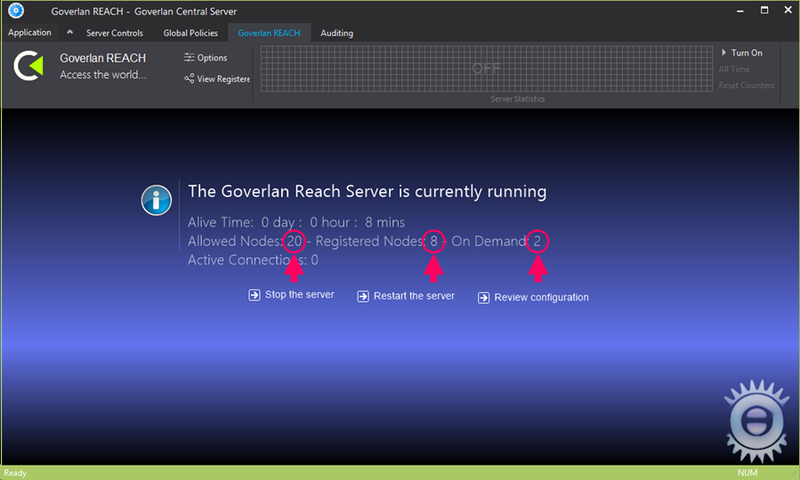 Goverlan Reach Gateway Services can also be used for On-Demand support sessions. With On-Demand support sessions, any remote user can be supported once authorized by a simple approval process. On-Demand sessions are useful for corporate BYOD or application customer support environments. How are Goverlan Reach External Nodes Licensed? Your Goverlan account includes a number of free External Nodes (also known as OTI CALs) based on the edition you use. One External Node license is required for every computer that is actively registered with the Reach Gateway Server. This includes active On-Demand support sessions or Permanent Registrations. You may also mix permanent registrations with on-demand sessions. Permanent Registration – Also known as Unattended Mode. This access mode is designed to give you full unattended access to a target system that is outside of the network. 1 license is required as long as the external node is online. On-Demand Registration – This access mode is designed for on-the-spot support sessions. On-Demand sessions are a code based exchange between the end user and support tech. 1 license is required for the lifetime of the support session. How do I know how many Reach licenses are currently used? What happens once I reach the license limit? Once you have reached the license limit, new computer nodes and On-Demand support sessions attempting to register to the server will fail. A notification will be logged in the server’s Execution Log and in the Event Viewer.